Man has revered honey since the dawn of time, and honey deserves the praise! Honey is one of nature's most powerful and versatile products. Honey appears on nearly every aisle of the supermarket: there are honey breads, cereals, mustards, barbecue sauces, glazes, mead varieties, beauty treatments, shampoos … the list grows each year. In addition to its many culinary applications, unpastuerized honey is valued as a nutritional supplement and energy source. Unlike other sweeteners, honey contains small amounts of a wide array of vitamins, minerals, amino acids and antioxidants. Research also has shown eating honey is a beneficial pre-workout regimen for individuals and athletes, enhancing endurance and promoting recuperation. For ages, honey has been used as a healing product. Given its antimicrobial properties as well as a range of additional healing/soothing characteristics, it is understandable why so many individuals use honey to calm a cough or sore throat. When it comes to severe burns and wounds, honey remains one of the best dressings. 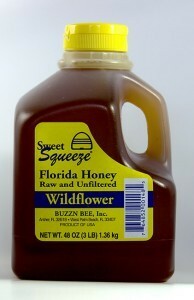 Consider adding the regular use of honey in your life … for food, supplementation, and healing.